Roger Brook - the no dig gardener: Garden myths discussed. Does bonemeal have any horticultural value? For no particular reason (other than that I emulated my Dad) I have always used pelleted Growmore - and had good results from it. 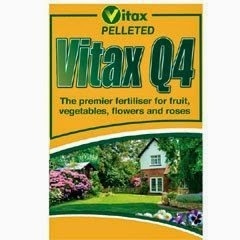 I have also been known to buy Vitax Q4 occasionally, but I admit that I am ignorant of the science involved! Vitax has the qualities of a base dressing and can be used as the base fertiliser in making up compost - although I prefer the modern coated controlled release fertilisers for this purpose. 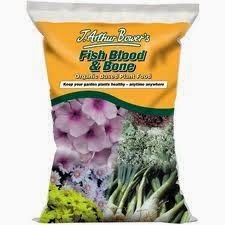 Every time I watched a gardening programme in English, they always recommended blood and bone meal. This fertilizer was so much touted that I wanted to have it. Unfortunately, I couldn't find it in Poland. I am sure if you get a balanced general fertiliser of similar analysis to growmore you are not being deprived Dewy! Great that someone reads me in Poland! In addition to your comments, I believe it also attracts rodents like squires, a big problem across the pond. Most soils in North America also have lots of phosphate. A number of locations have banned phosphate from lawn fertilizers. In Ontario, manufacturers have started removing it voluntarily. Thanks for your endorsement Robert. Gosh a blog on myths, I rushed to your site and joined today! Your comment about manufacturers reducing the phosphate.is very interesting. I think I should do the same with the one general fertiliser I use generally but I suspect that as an unusual analysis over here it will be more expensive. Does anyone know a good one? A very interesting post Roger. I did not know anything about bonemeal. It is interesting that whatever fertilizer is being recommended or not, it seems to me that what in fact matters is to have a soil rich in humus and alive with micro-organisms that will help plants get to the nutrients (whether these nutrients are present or not in large quantities). In other words, feeding the soil rather than the plants. I agree Alain. I hope you agree that this is a regular theme on this blog - it all depends on wise management of the soil- even if this is by leaving it to nature! Oh dear so we are wasting our time using fish, blood and bone? I shall now go away and sulk! I would not want you to sulk Sue. 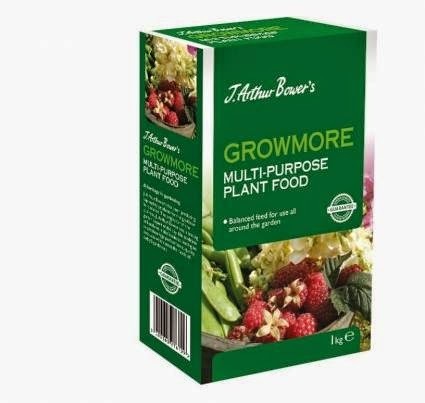 If you read the caption under the picture of meat, fish and bone I said it was as good as growmore - and I regarded that as a compliment! albeit the little dig at the thought of using fishmeal as a fertiliser! I did not show a picture of any branded bonemeal as my comments would be defamatory! At last the long awaited bonemeal post! I remember reading a book on shade loving plants with individual descriptions, under the heading Maintenance in every case there was the advice to "scatter a little bonemeal around the plant in the spring" and I suppose that is how it has always been as you stated. I think the myth grew up around the fact that bonemeal was likened to a plant's comfort food it was an organic "slow release" fertilizer unlike this chemical muck these farming chaps were using, I mean who wants to pollute and burn their precious plants with these modern chemicals. The irony is, of course, that it remained popular because it was somehow cosy and generally safe and yes, innocuous. I am currently using a 15:15:15 but you have made me think again about the phosphate content. I have included a link to an interesting article and site I have found. After our previous banter it was with some intrepidation that I opened your e-mail! I should not have feared and there was your usual wise words. I really do appreciate your contributions to my posts. Together with Sue and Alain. Thanks for the link, sorry it does not come through live but google will quickly find it for interested readers. Coincidentally I had already found it when checking out whether there were others who agreed with me. Very good and balanced post, Roger. I formally used bonemeal as it was recommended by Cornell for natural additives. I guess when you think of animals dying and decomposing where all goes back to the Earth, it kinda makes sense. I stopped spending the money on it though. You are quite right about dead animals Donna. We planted a beautiful yellow magnolia on the grave of our dear cat - and the tree has grown magnificently. It used to be a country tradition to bury a dead farm animal under a new tree. There will be every plant nutrient available.